For Christmas cheer to those who are dear, send this sweet Merry Making Bouquet™, perfect for winter birthdays, "Happy Holidays" sentiments, and "thinking of you" pick-me-ups! Red roses, stunning red anemones, carnations, cheery ilex berries, and holiday greens are arranged exquisitely in a clear glass vase. 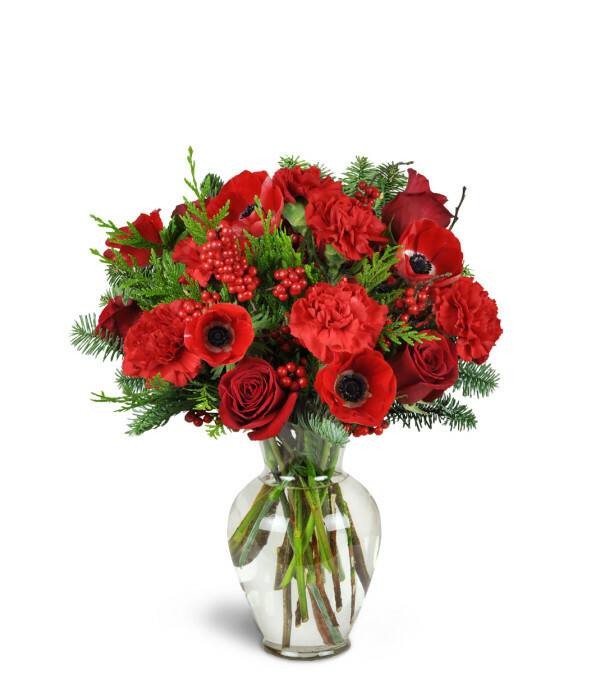 Red roses, red carnations, red anemones, ilex berries, noble fir, and cedar are balanced beautifully in a clear glass fluted vase. Please note that Standard does not include roses. First time ordering flowers online and they nailed it. Easy to use web site and good products. Thanks for the service. 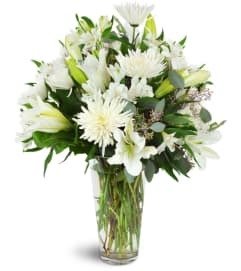 Grower Direct 34 is a Lovingly Florist in Grande Prairie. Buying local matters. Discover how Lovingly supports local florists. Copyrighted images herein are used with permission by Grower Direct 34.